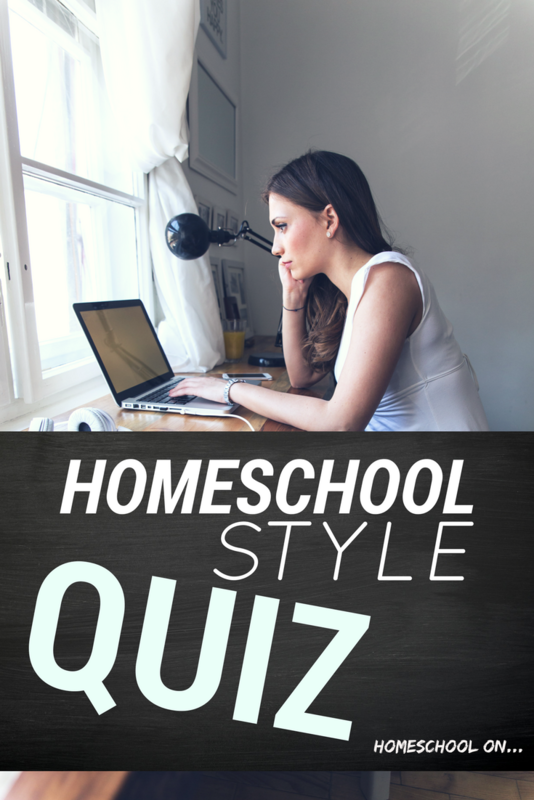 Take the Homeschool Style Quiz! Before you start, remember that you need to answer as you actually are and then we can read the styles below to figure out what you want to be. Also, the fact that you are here, reading this post, means that you want to understand your family better and I am so proud of you! 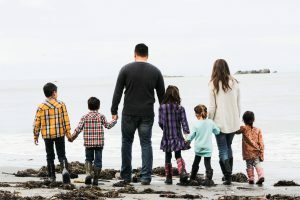 We don’t have a lot of time as homeschool moms, life is busy, so when we do take the time to dig a little deeper, to try something new, it shows your commitment to your family and speaks volumes. Just the fact that you care enough to always be learning and growing testifies to you as a homeschool parent, keep on keeping on mama (or dad who may have stumbled here)! What is your homeschool style? 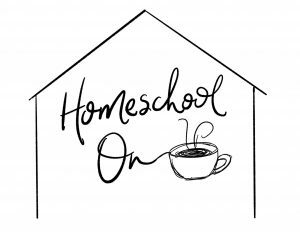 Your homeschool style is how you naturally approach homeschooling. There are 6 main styles: Traditional, Classical, Charlotte Mason, Unit Studies, Unschooling, and Eclectic. I have put together a really simple true and false quiz to help you discern your homeschool style. Ready? Let’s do this! Congratulations! You are an unschool homeschooler! For more information, keep reading below this quiz and click on the blog post to find out more on what that looks like and how you can apply that knowledge to your homeschool! Congratulations, you are a Charlotte Mason Homeschooler! For more information, keep reading below this quiz and click on the blog post to find out more on what that looks like and how you can apply that knowledge to your homeschool! Congratulations! You are a unit study homeschooler. For more information, keep reading below this quiz and click on the blog post to find out more on what that looks like and how you can apply that knowledge to your homeschool! Congratulations! You are a classical homeschooler! For more information, keep reading below this quiz and click on the blog post to find out more on what that looks like and how you can apply that knowledge to your homeschool! Congratulations! You are a traditional homeschooler! For more information, keep reading below this quiz and click on the blog post to find out more on what that looks like and how you can apply that knowledge to your homeschool! I wish we had no workbooks and could just learn through life experiences! I love rabbit trails in learning, I run with them! I love using technology in my homeschool! Whatever works right? Let’s Get to Know Your Homeschool Style Better! In an effort to make this easier to navigate, I am going to link each style below to a separate page ALL about that style. So choose your style below, it will open in a new window so you can come back here to find out how we can change and tweak our styles. Did you get very mixed results? In that case, choose the eclectic link below! What if I want to change my homeschool style? What many people do not realize is that your homeschool style may change throughout our homeschool journey. You may be one style of homeschooler naturally but come to fall in love with the values of another style as I have. When that happens, you have the ability to change your entire approach to homeschooling, to stretch yourself outside of what is comfortable to you, and to explore learning another way. For example, I was a traditional homeschooler. That is how I was homeschooled and how I found joy in homeschooling. I am type-A, driven, I like to check off the boxes and see progress in my children. I love workbooks and wanted my kids to do their work independently while I did some teaching with them all in their little school desks. I had visions of playing school with my children and yet through the years, my natural tendencies have been waging war with my heart. In my heart, I want to do something different. I have come to appreciate the values of both Unschooling and the Charlotte Mason style and have found myself choosing to change for the sake of my children, and the sake of myself! It is not an easy thing, changing what comes naturally to us! 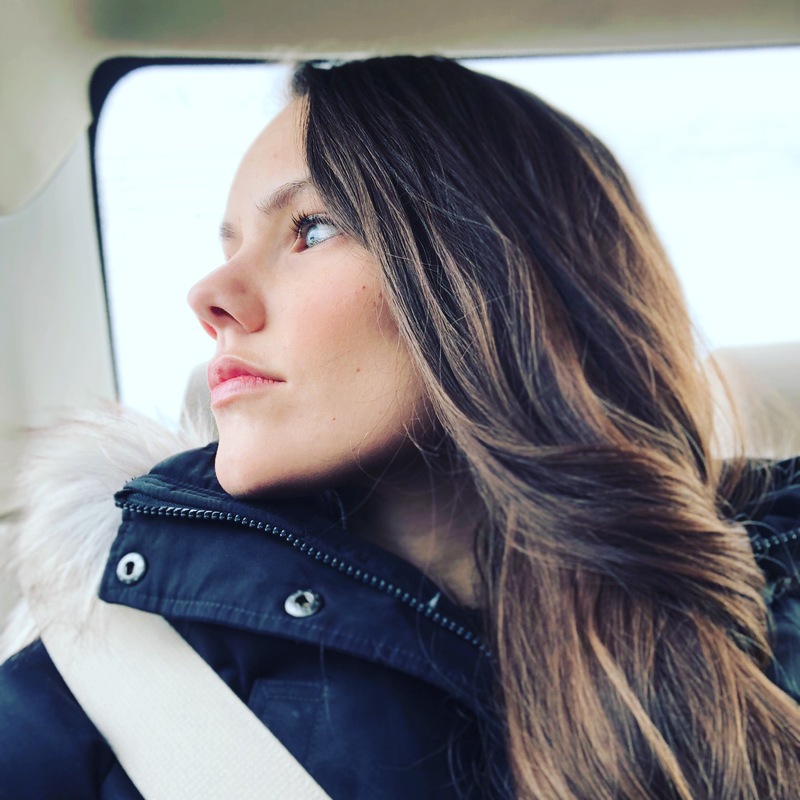 But I don’t want to go through my homeschool journey doing what came easily, I want to go through it with memories, relationship, exposing them to life, letting them own learning and be a part of the process, and instilling our values along the way! So no matter what your homeschool style IS right now, no matter what your results were, take the time to read through all the different styles above. Find what resonates with your goals, your mission statement, and CHOOSE which style you want to be! And if you are looking for a support group to ask questions, share glimpses of your day, or just make some new friends… come join the Facebook Group Keep Calm and Homeschool On! They are an amazing group of women and I know you’ll find a safe place to walk your homeschool journey with other mom’s who are trying to do their best just like you! Enjoyed this quiz? Take the Learning Style quiz and let’s keep going! The quiz is not showing up. A friend sent a screen shot but it’s not loading at all. I’m using Firefox. I just tested on Firefox and it is working over here? I am not sure why it isn’t showing up? It could be either a cookie or security setting on your computer or possibly you need an update of the web browser you are using? Sorry, I tested it on every browser and it is showing up, I am not sure why 🙁 Sigh, technology right? There is no hyperlink or obvious quiz showing up on my device. Safari I would love to take the test. Any suggestions? Hallo! I just read this article today. I am very confused about how I should teach this year. I love the charlotte mason style, what I can understand of it, but my oldest daughter is a hands on learner with ADHD and I feel a lot of preasure to make sure our kids will not fall behind, wich I feel is taking the joy out of our homeschool, yet I dont have a lot of time to teach them, since we have 5 kids ages 1-10 and live on a homestead. Also I really dislike hands on teaching (I cant seem to come up with any good ideas). It’s all a bit confusing right now, but hopefully I’ll be able to figure it out soon. First year homeschooling 3 kids….. using Simply Charlotte Mason material, says I’m Classical Style, probably where a lot of the struggle is at! It pegged me pretty well (Charlotte Mason) though every other questions I wanted to answer “Yes and No” or “Depends”…. Q:I believe in child-led learning (letting my children dictate what they want to learn about)…. I think school should involve a balance between child-led and teacher/parent led learning. Q:I am an out-of-the-box thinker, a doer! I am an out-of-the-box thinker…but that doesn’t often lead to doing (1 million ideas…two or three acted on). Depends on the subject. I want to play with the history lessons, but I want someone to tell me exactly what to say/do/practice when teaching math. I am an unschooler according to this quiz. I think it’s right on – that fits my personality. I just want to make sure my style works for my little. I only have one now and she is 3, so I still have time to research and learn about homeschooling. But I am happy I found this resource. I had always though I was more aligned to Wladorf philosophies and have tried to piece together our own curriculum around it. This, and another similar quiz both indicate Charlotte Mason style. I have come across a charter school that will pay for a secular curriculum. I know some parents have used BookShark, k12 or Calvert through them. Is there a boxed set that has a good blend of Waldorf and Mason styles of learning and teaching? This says I’m a Traditional Homeschooler which makes sense. The problem I’m facing is I’m not sure its working for my children. I’m wondering if I should change my way of thinking or approach to better suit my kids needs and our lifestyle! 94% unschool but am hesitant because that isn’t okay with hubby 😐 Oh to find the balance! I got 81% Unit study. I guess the thing I didnt like about this test were some of the questions where very one way or the other. Like I love schedules and make my kids strictly follow it. The next questions was I hate schedules and just go with the flow. Well for me I am a person who loves schedules to follow and use as a guideline but Im not great at following them and will prob go with the flow if need be. But I dont hate or love. I found several of the questions to be like this. Where I agreed with part of the statement but not the whole. But I did take another test at one point and it came out Unit study…. and I didnt believe it which is why I chose to take this one. But 2 out of 2 is pretty strong LOL. i had those same thoughts with those same questions! This is my first full year of homeschooling. Our son will be a Junior. He came to us last semester and said he wanted to be homeschooled because the classrooms were too chaotic. He just couldn’t block out the noise to hear himself think. So we finished out his Sophomore year – last semester with the curriculums. So, I muddled through, but now we are preparing for his junior year and we have brought him into the circle for planning what he wants to learn about. He wants practical experiences like how to save money or balance a checkbook, or car maintenance. So we know that we are switching gears. He is highly musically inclined. Writes his own music and plays several string instruments. We are looking for a way to incorporate as much of his love of music into reading, creative writing and science. My brain still thinks TRADITIONAL school but I am open to helping him learn the way that works best for him. I am not surprised at my results. Hi, thanks for this insight! True about the homeschooling style but I was Abit mixed up in the questions, yes I would love my children to learn both academics and life skills but we have to be graded to see how we are performing because it helps me see where the child needs help. But maybe as we go along I will see what’s suits us all best. The first born is in class 3, the rest in pre kindrgaten and kindrgaten and then a 2yr old ( in a few weeks). Thanks I believe with your support it will be easier and all the moms on the group! I am 91.67% Charlotte Mason Homeschooler! Although I have read about it, this is only the first time I am learning from it. Now I am curious and wanted to read more about it. Thanks for this! Says I’m 92% Traditional however I don’t like being so structured and rigid and would like to just go with the flow. 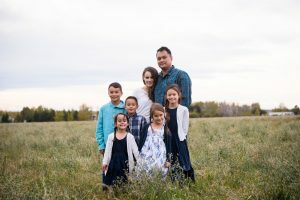 This will be my second year homeschooling two kids (grade 6 / 8) and while I’m looking forward to it I am also getting a little overwhelmed as my kids will be returning to public school for high school and I want to make sure they have all they need. I know from last year they are much more knowledgeable about certain subjects as compared to their high school siblings. Guess that’s a step in the right direction. 83% Charlotte Mason. What would be next on the list? Would love to be able to have a well rounded style to meet all of our needs. Very true! My daughter is wonderfully self-motivated. We enjoy exploring the world with her! 100% Unschooler. True. We follow her lead, and offer many types of experiences. Going on year 6, and all is very well! I got Unit Study. But I actually hate the work involved in that on my end. I’m trying to follow a classical format. I believe that mastery brings excitement about learning and so enabling small victories is important to me. I have five children, 3 to 11, so our school day is always chaotic. Add homestead, remodeling, and Paleo cooking and it’s almost always messy.